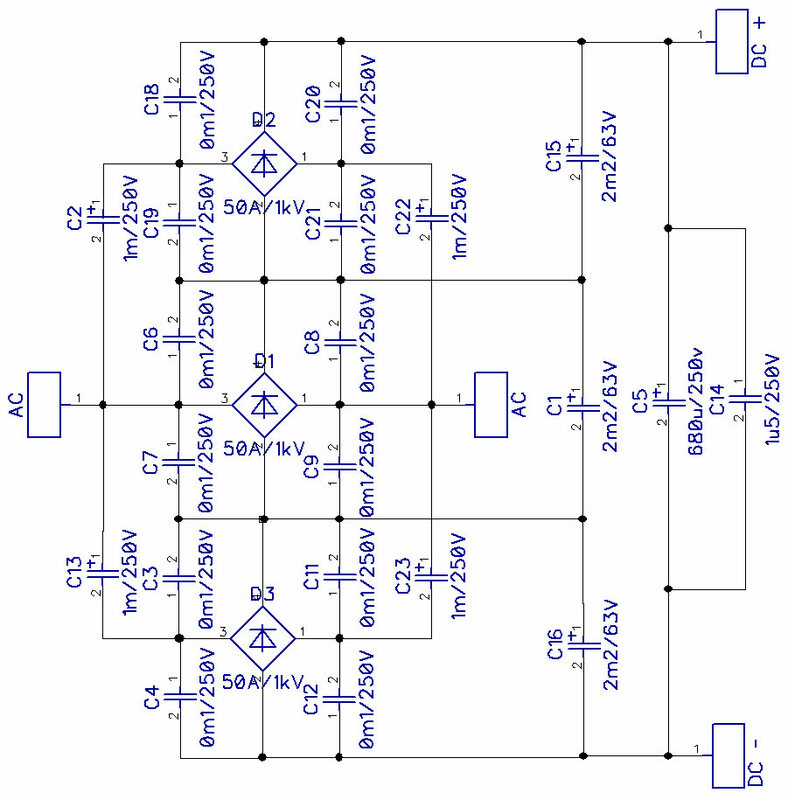 This is a simple voltage tripler. It is based on three rectifier bridges. The central bridge takes the direct thrust from the transformer winding. The upper and lower bridge take an indirect thrust from the same transformer winding, each via a pair of DC decoupling capacitors. The DC voltage on the output of the device is close to 1,4 x 3 x VAC voltage rating of the transformers secondary winding. The 12 capacitors “surrounding” each of the three bridges are “silencers”. Each “level” of this three storey structure has it’s own filtering capacitors. 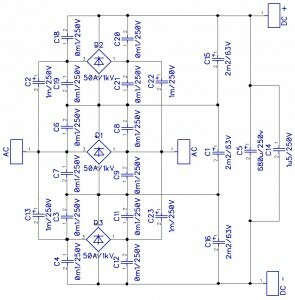 Then, on the very output of the device, there is yet another, high voltage, filter capacitor.